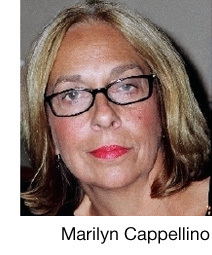 Marilyn Cappellino writes social commentary particularly on issues involving children and seniors. Her Column, At the Core, seeks to find central solutions to daily challenges. Where to live? With whom? When to travel? Where? What to buy? How? On any number of newsworthy topics - from accessible architecture to zero tolerance she fuels a conversation on how we can make things better for those who paved our way, and for those holding the future’s promise.